Celene Funke and Caitlin Ferguson are the lone juniors for softball in 2019. The pair bring fundamental experience to both the infield and outfield, along with prime offensive production to a heavy-hitting Cardinals team. Though missing out on reaching the NCAA regionals last year, Louisville posted the best offensive production in their conference. Funke played a key role in that production, leading the Cards with a .356 batting average in 2018. As a freshman, Funke started twice and played in 33 games overall. She made her time count a pinch-runner, demonstrating her legs with 12 runs scored and three stolen bases. Funke grew into a starting role as a sophomore and leads the returning outfielders with 70 putouts. Also important to note is her switch from batting the right side of the plate to the left. After the change, Funke posted the best batting average for 2018 and recorded 52 hits, two triples and a team-best 17 steals. Alongside No. 33 is fellow junior Ferguson, sporting No. 14. Ferguson grew up 13 miles from Lexington and chose to attend U of L despite her UK-driven atmosphere. As a freshman, Ferguson started 40 games in the infield with then-junior Sidney Melton facing an injury. With a .274 batting average and 21 RBIs by the season’s end, Ferguson stood poised to continue improving. As a sophomore, Ferguson finished as one of two players earning an All-Region selection. She batted .317 at the plate with 46 hits and 40 RBIs, while also recording a team-best .440 on-base percentage. 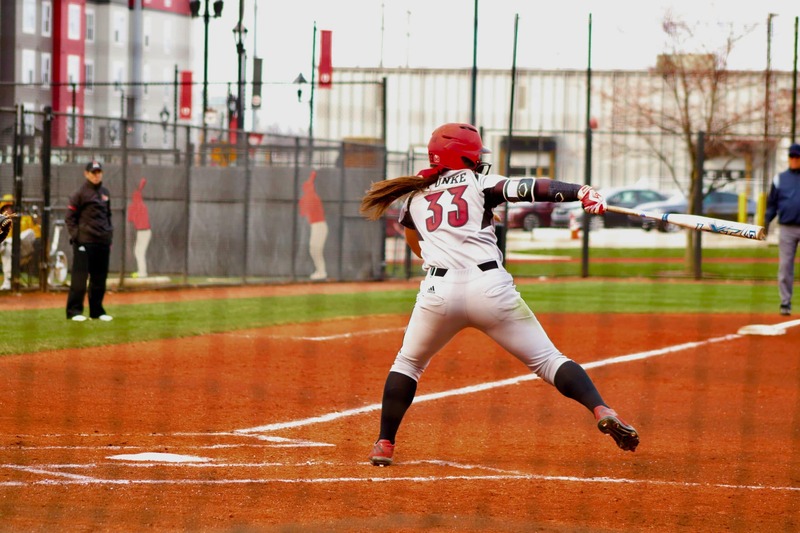 Last week, Ferguson hit U of L’s first home run of 2019 in the Titan Classic. Softball is a sport with many parts. You have to pitch well, field without errors, get on base, push runners along, run the base paths and keep to the fundamentals. Funke and Ferguson have several of those areas covered, with strong fielding and prolific abilities to get on base and score. With these juniors as a core of a balanced team, Louisville has a healthy chance to win the ACC and beyond.